Thirty-eight-year-old Noorjehan Abdul Hamid Dewan is an unlikely rebel. She grew up in a large family surrounded by the hum of prayers and "religious men with long beards". She got married at the age of 17 to a man who recorded the number of dead at a local hospital before he lost the job, and ended up on the streets driving an auto rickshaw for a living. After they were married, Noorjehan and her husband, Abdul, went to live in Juhapura, the bustling Muslim ghetto of Gujarat's main city of Ahmedabad, a place derisively called "mini-Pakistan" by many. It is a dystopian township dotted with cramped homes and narrow streets and where residents struggle to secure drinking water, cooking gas connections and small loans. Noorjehan covered herself up in a burqa, stayed at home, looked after her husband and children like a good wife. Until the 2002 riots changed her life. A refugee camp sprang up in her neighbourhood days after the violence and Noorjehan decided to step out to see what was going on. That was possibly the defining moment of her life. "I was shocked when I saw the survivors. I saw a girl and a boy, siblings, who had been set on fire by the mob, die in front of my eyes. There were about 5,000 people in the camp. I didn't know what to do, and I felt helpless," she says. When she returned home and told Abdul after what she had seen, her husband forbade her to go to the camp again and work there. "He told me I could not work with other men. I told him both Hindu and Muslim were working together to help the survivors. He wasn't convinced. But I decided to go back and help. The camp haunted me," says Noorjehan. Noorjehan, sometimes carrying her six-month-old daughter, walked to the camp every day to help the survivors with food and water. She even joined a local NGO. When her husband heard that, she says, he beat her up. For the next six months, the relief camp became Noorjehan's life. At home, her husband stopped talking to her and threatened her with divorce. She left her children with relatives and continued to work in the camps, giving out medicines, helping victims file police complaints, carrying out surveys and nursing the injured. "I also quit the burqa. I put on the burqa when I married in 1991. I quit in 2002," she says. The burqa, Noorjehan says, was part of the problem when she went to work in the relief camp. "People would pass snide remarks, the police would shoo us away. The burqa became an existential problem. I had to stop wearing it in order to do my job well," she says. Ten years later, things have changed radically. Abdul is now a fawning admirer of his wife's work and accompanies her, sometimes with their school-going children in tow. "He helps me, supports me, understands me. I now live to get help, get justice," says Noorjehan. 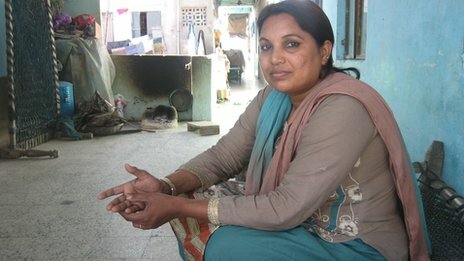 Women like Noorjehan are leading a veritable revolution in the beleaguered Muslim community in Gujarat, which comprises less than 10% of the state's population. They have defied their husbands and parents at home and clerics outside to come out and work with riot victims and travel to dingy and often hostile courtrooms around the state to fight their cases. Many of them are victims themselves, but they are waging a war against inequality in their homes and marginalisation and brutalization outside. Once sequestered and voiceless, they are making their presence felt at home and the world and challenging the stereotype of Muslim women in India. "A social change is happening in the community," agrees leading activist Shabnam Hashmi. "It took a tragedy to trigger this change." It can sometimes look like an uphill task. After the 2002 riots, social cleavages have sharpened, ghettoisation has become endemic, lots of Muslim men have lost their jobs, and school-going boys like one of Noorjehan's sons have had to take up low paying jobs in call centres to support their families. But they soldier on bravely. In Juhapura, I went to see Niaz Apa, one of these women. She is 58, and lives with her husband in a 100 sq ft, two-room apartment built by a community NGO for displaced riot victims. It's an ugly two-storey building with an unending row of rooms flanked by a winding veranda. Her husband, Banu Mia, a quiet man with a hennaed beard, is a retired factory worker. Ten years ago, Niaz jests, she was the "richest woman" in the relief camp, where she stayed for eight months. "I had land, I had a home. But my house got burnt down during the riots, and I sold my land in a distress sale and moved into this hovel, which is now my home," she says with no hint of obvious rancour. That was not all. Even justice denied was denied to her. When Niaz identified the men who had torched her house in the court - "there were 12 of them, they had grown up in front of my eyes" - the judge asked her to compromise with the men. "He said just go ahead and compromise. Nothing is going to happen. And nothing did happen." To forget her woes, Niaz says, she now works with the community and riot survivors, going to police stations, courts and cheap food shops. "It's all about securing justice by raising my voice. When the owners of the cheap food shops cheat us, I take up the cudgels. If the police station refuses to register a case, I raise my voice," she says. "My life is now just about raising my voice and getting justice for the helpless." In Godhra, I met Latifabano Mohammad Yusuf Getali, 49, who has made a stormy transition from a cloistered homemaker to a leading relief and peace activist, so much so that she was picked up as one of the 1,000 PeaceWomen for the Nobel Peace Prize in 2005. She has worked with riot victims, opened schools and picked up training to run schools and a NGO. "I was in the burqa when the riots happened. I had no idea of the world outside." "From the uneventful life of a Muslim housewife to a relief and peace activist, she has walked a long mile", says the citation by the organisation. "Braving the wrath of her conservative community, Latifabano has helped hundreds of Muslim women in the state gain access to relief and legal assistance... Latifabano's organisation was the first Muslim women's organisation in Godhra, so she faced the considerable wrath of the conservative Muslim community. But she continued undeterred..."
But there is one thing all of them miss. Life since the riots has become boring, says Niaz Apa, because of ghettoisation - the only English word she knows. "Earlier many of us would live in joint neighbourhoods. We had so much joy living with Hindu neighbours, participating in each other's festivals. Now we have only Muslims for company. Which is a bit boring, isn't it?"